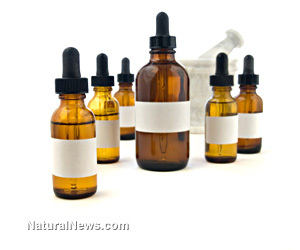 (NaturalNews) Two of the biggest names in network marketing-based essential oils are duking it out in court following a sordid tale that involves alleged theft of trade secrets, phony lab testing and false advertising. As reported by The Salt Lake Tribune (SLT), Lehi-based Young Living Essential Oils recently filed a lawsuit against Orem-based doTERRA for allegedly stealing its trade secrets, prompting doTERRA to file a retaliatory lawsuit against Young Living claiming that the company performed fraudulent lab tests of doTERRA's products and posted the erroneous results on a public website. According to reports, Young Living has had quite a few of its company executives quit or get fired in recent years, including its former chief operating officer, David N. Sterling, who was fired from Young Living back in 2008 and later started doTERRA. Not surprisingly, there has been considerable friction between the two Utah companies ever since, as accusations continue to fly back and forth about alleged improprieties on both sides. Now, both state and federal courts are being summoned to provide their own input into the complicated and drawn-out mess. It all began when Young Living filed a lawsuit last year in state court against doTERRA, claiming that the company was founded and built "by stealing Young Living's trade secrets, violating their duties to Young Living and improperly recruiting Young Living's employees and distributors to leave Young Living." In other words, Young Living basically believes that doTERRA would not even exist if it were not for the many years' worth of knowledge and expertise invested into it by Sterling and others who had previously worked for Young Living. DoTERRA denies these claims, insisting that its product formulations are unique and do not in any way violate Young Living's patents or rely on its private trade secrets. The company also maintains that very few former Young Living employees even work at doTERRA, and that Young Living's accusations are vastly overblown. "The reality is there's been a tremendous turnover in their executive team over the years," stated Corey Lindley, executive vice president and chief financial officer (CFO) of doTERRA, to SLT about the alleged preexisting turmoil at Young Living. "And that's created some concern for some of their employees and some have come to work for us." In a countersuit filed in federal court, doTERRA alleges that Young Living actually took samples of doTERRA's products and deliberately tainted them with toxic chemical additives in order to smear the company before an important distributor convention in Salt Lake City. DoTERRA says that Young Living sent the tainted samples overseas to a France-based testing company and maliciously published the spurious results online, claiming that the oils were tainted with a substance that "causes death." Just one day later, Young Living filed another lawsuit against doTERRA, this time also in federal court. This counter-countersuit contends that the results of the French lab are clear and that doTERRA is falsely advertising the purity of its products in order to lure both employees and customers away from Young Living. But doTERRA is not buying the legitimacy of the claims. "It's interesting the day [after] they get hit with this very factual and detailed lawsuit they turn around and file this very retaliatory, slap-back lawsuit based on this foreign lab," added Stephen Quesenberry, a Provo lawyer representing doTERRA. Depending on how this multitude of lawsuits plays out, one or the other company, or both, could end up having to shell out tens of millions of dollars in damages. As of this writing, no trial dates have yet been set for any of the lawsuits.